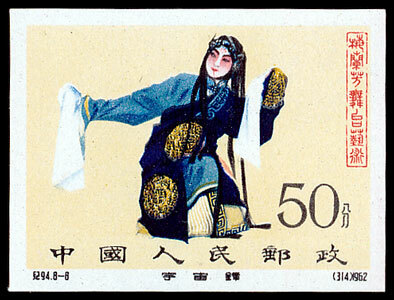 December’s stamp auction was the last to be held at the Lord Leycester Hotel. From January the auction will return to its previous venue, The Court House in Jury Street. The auction included an impressive collection of King George V control blocks and other multiples, amongst which a remarkable interpanneau block of 60 of the 1924-6 1½d, with tete-beche stood out. Estimated at £3,000, the lot eventually sold for £4,360. 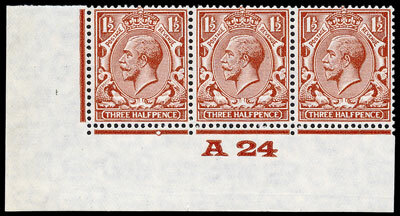 In the same section, the same value in an A24 control block of 3 on Experimental Paper sold for £307. There were also some attractive items in the Commonwealth section that performed well. 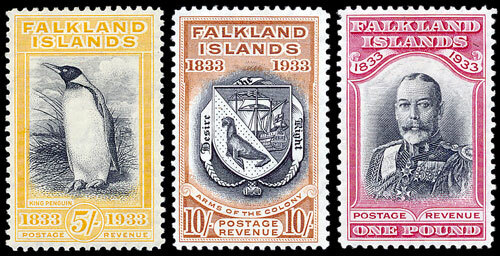 A Falkland Island 1933 Centenary 5/-, 10/- & £1 sold for £378, £366 & £1,030 respectively. Malta 1938-43 2/6d in UM pair, one showing the rarely seen ‘damaged value tablet’ achieved a figure of £200, being half the catalogue value and reflecting its rarity. The market for modern PR China issues continues to rocket. 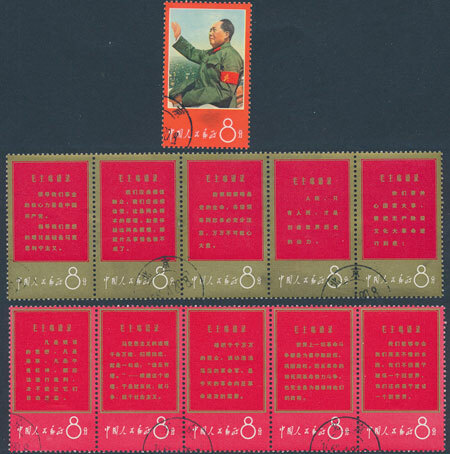 The 1962 Mei Lan-fang set UM imperforate sold for £504 and 1967 Thoughts of Mao set in se-tenant strips sold for £248 despite some faults. The 13th January auction contains some similar items, including a 1980 Monkey 8f UM. A delightful range of French middle-period issues in dated marginal blocks attracted interest, with almost all of the lots selling, including the Sinking Fund issues below. Collections from the French Colony of Obock tend to be popular and this proved so with a 19th Century mint/used collection which included the 1893-1904 much prized Pictorials to 25f & 50f. The collection was estimated at £1,400 and sold for an impressive £2,300.